It’s been quite the year for Cristiano Ronaldo. 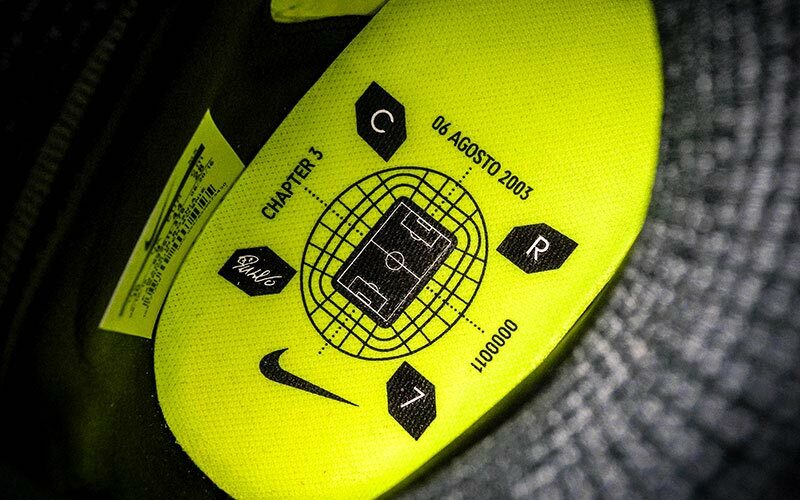 Nike have revealed another custom designed Superfly for CR7, retelling a key chapter from his past. As far as years go, it’s fair to say that 2016 is one Cristiano Ronaldo will look back on with that iconic grin on his face. Before he helped guide Portugal to their first ever major tournament win at Euro 2016, he was spearheading Real Madrid’s successful bid to a record breaking eleventh Champions League title. Not a bad summer in FOOTY.COM’s eyes! The Portuguese forward continues to add to his trophy haul at every chance he gets. And with the 2016 Ballon d’Or his to lose, claiming he has reached the pinnacle of his career is somewhat of an understatement. 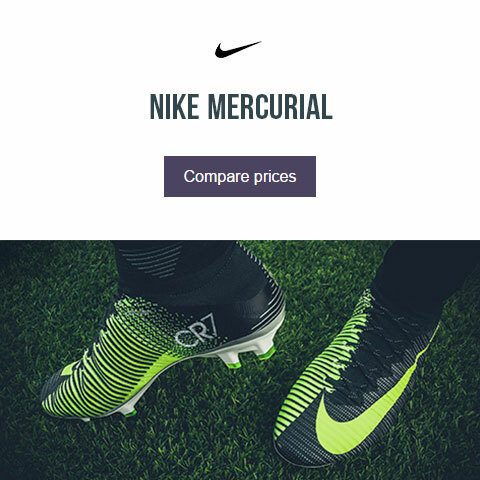 Nike have decided to pay homage to one of the most important days in Ronaldo’s glittering career with the new Chapter 3 - Discovery, the third installment in their Mercurial Superfly V collection chronicling his biggest milestones. 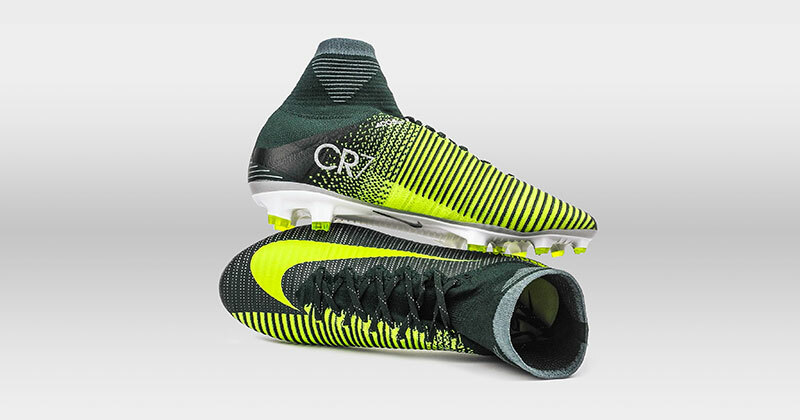 Nike began their custom CR7 Superfly V series, which focuses on seven aspects of his career, in 2015. Following on from Chapter 1 - Savage Beauty, inspired by his home region Madeira, and Chapter 2 - Natural Diamond which focused on his first professional steps in football, Chapter 3 - Discovery looks at the moment Ronaldo became a household name. There have been many memorable games, moments and dates in Ronaldo’s career. However, none of them are more pivotal than the 6th of August 2003. 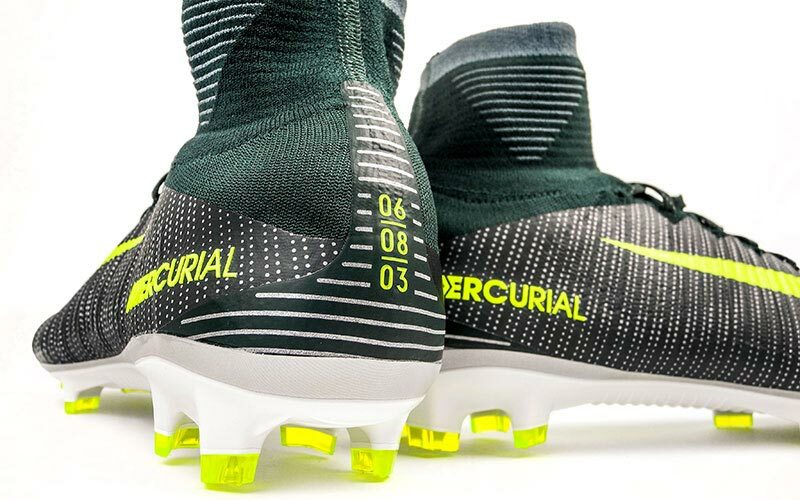 The date is written down the heel of the new boot, along with sitting on the insole, centred around a diagram of Sporting Lisbon’s Estadio Jose Alvalade (remember to put accents in). The date marks the opening of the stadium, but more importantly, the day a young Cristiano Ronaldo won over Sir Alex Ferguson with his tricky wing play and blistering pace, in a pre-season friendly against Manchester United. Following on from Nike’s Floodlights Pack, the brand have continued to include vibrant accents to light up any game under the lights. 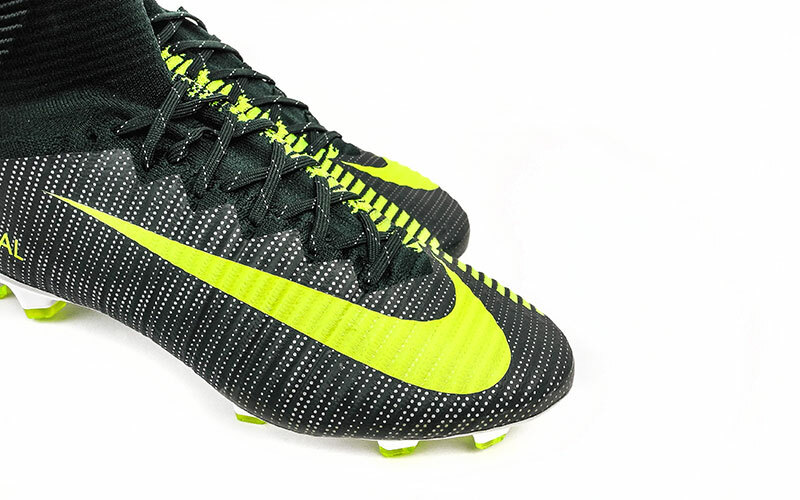 Featuring thousands of small, reflective dots on the outside foot, the boot ignites in front of floodlights, while the volt green instep gradient gives the Superfly an electric edge across it’s Flyknit and NikeSkin upper. 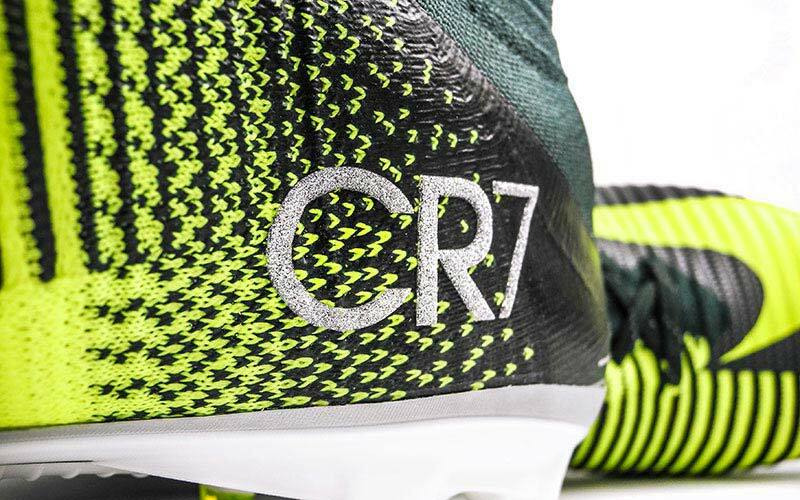 A white, carbon fibre soleplate will help Ronaldo burst past unassuming defences, with neon green moulded studs leaving his marker spell bound. Rounded off with a seaweed green Dynamic Fit Collar, Chapter 3 of the Mercurial Superfly V pays the perfect tribute to that famous night in Lisbon, the last and most important time Ronaldo pulled on Sporting’s green and white. How many defenders will CR7 leave in his wake with the latest Superfly V? The Superfly’s latest CR7 inspired colourway will be worn in several key fixtures for both his club and country this month. First up, the final fiercely contested Madrid derby at the Vicente Calderón, a homecoming for the Portugal captain against Sporting Lisbon, the first el Clasico of the season, followed by a huge clash in the Champions League against Borussia Dortmund. It’s fair to say Ronaldo will be putting his new boots through their paces!